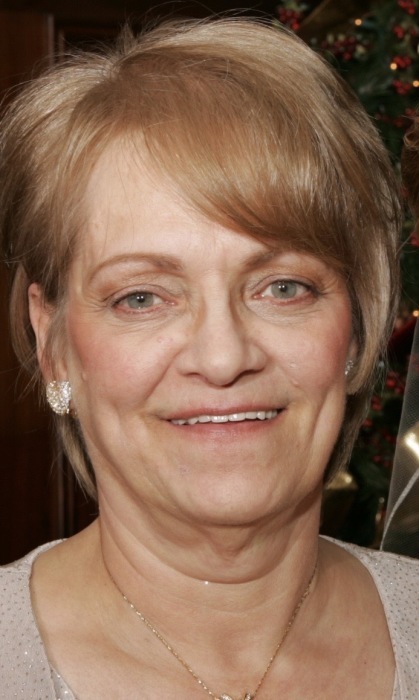 Wynantskill-Constance “Connie” Marie Newman, 73, beloved mother, grandmother, sister, cousin and aunt left us on October 17th, 2018 after a long and fulfilling life, surrounded by her family at St Peter’s Hospice, Albany, NY. She was born in Troy, NY May 8th, 1945 where she spent her formative years, living most of her adult life in Wynantskill, NY. As a young girl she attended St Joseph’s school as well as St Francis and ultimately graduated from Catholic Central High School. She had various jobs as young adult including working at Manory’s Restaurant, Norton Company and Marine Midland Bank. For most of her working years she provided daycare in her home raising a generation of children of her family and friends. During those years she quickly picked up the nickname “The Baby Whisperer” for her ability to always sooth a screaming child. She was raised Catholic and attended mass at St Jude’s in Wynantskill, NY. As a youth, Connie loved to dance, she was a regular at Paul’s where she would dance for hours with family and friends. She also loved to watch a multitude of television programs and in the “VCR” era collected libraries of tapes of her favorite shows and movies, all meticulously cataloged. Later in life she loved to keep up on politics and was an avid viewer of CNN and MSNBC as well as other news channels. She loved being with her family, watching The New England Patriots, and listening to her beloved Elvis Presley. Although her greatest joy was always her Family. Everyone will miss her witty and honest sense of humor. Connie’s signature lines will be repeated by all that loved her and her selfless and caring nature will live on in her grandchildren forever. She was predeceased by her parents, James and Beatrice Bailey as well as her older sister Janice (Jack “Gus”) Costello. Her surviving relatives include her beloved children Kimberly Kaufman (Lawrence) of Delmar, NY, Paul Newman of Brunswick, NY and daughter in law Debbie Newman of Brunswick, as well as her six grandchildren Alyssa Delsignore, Jordan Newman, Peyton Newman, Joshua Kaufman, Ava Kaufman and Maverick Newman. She is also survived by five siblings including her two brothers Van Joseph Bailey (Cherri) of Junction City, OH, Dennis (Georgeann) (Elaine) Bailey of Wynantskill, NY as well as three sisters Sharon Ozimek (Michael) of Albany, NY, Doris Goodman (James) of Pittstown, NY and Bonny Lupe (Peter) of Brunswick, NY as well as many cousins, nieces, nephews and former husband Charles Newman. Family and friends are invited and may call on Saturday October 20, 2018 from 10:00 am to 2:00 pm with a prayer service at 11:00 am at Wynantskill Funeral Home, 294 Whiteview Road, Wynantskill, NY 12198.